The loss of a loved one is very difficult on many levels. Unless the deceased has made burial arrangements before their passing, it becomes the family's responsibility. Before getting started with funeral service plans, remember that this is a chance to gather with others to share memories that celebrate the individual's life. A skilled funerary specialist will be most helpful at this time. 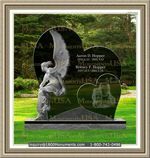 They are event coordinators who know how to help the bereaved make the necessary decisions. 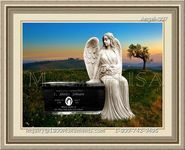 These may include penning the obituary, covering the legal aspects, choosing burial specifics and all the small, but important details of the interment process. Someone will need to be designated to officiate the services. This is normally the spiritual leader of whatever religious facility the deceased attended. If they did not have any particular affiliations, the family may choose their preferred cleric or the task may be given to the facility director or a close friend. A place to hold the services is the next step. Not only can the coordinator assist in setting this up, they can also take care of casket presentation, floral deliveries, video, sound and all necessary details of the reception. They can guide the family through creating the memorial program right down to selecting appropriate photos, verses, poems and songs. Some of the bereaved may wish to contribute to the final tribute by sharing special memories. The eulogy is perhaps the most difficult aspect of the preparation process since it will generally evoke a lot of emotion. 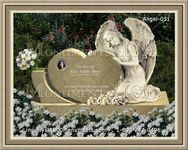 This is a heartfelt speech, lasting approximately five minutes, in which the deceased's life is summarized and their special attributes honored. A lot goes into arranging a funeral service, which should be no longer than an hour. Providing a guest book lets the family know who attended as well as read the messages they leave behind. 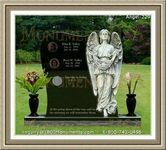 Have a place to display photos and other memorabilia as a tribute, and provide a memorial handout as a commemorative keepsake.